There's a lot of one drops here which is good, but it's deceiving because there's only five one drop Vamps. Two drops are the same, there's only six two drop Vamps. A total of 11 one and two drop Vamps is not enough for aggro. Consider more early game Vamps? 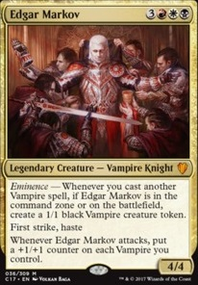 In multiplayer Commander aggro is difficult to play because you don't have to just kill one opponent you have to kill three with 40 life each. Because of this playing more cards that can damage all opponents at once gives you more reach. 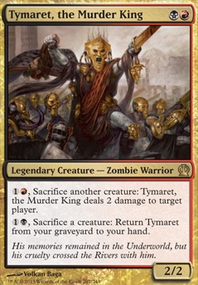 Cards like Impact Tremors , Throne of the God-Pharaoh , Zulaport Cutthroat and Price of Progress are low CMC cards that can add a lot of reach. 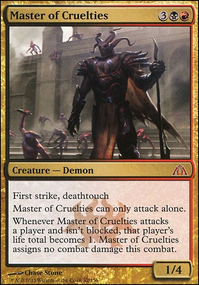 Cutthroat is not a Vamp, but he punishes each opponent when a board wipe or removal happens. 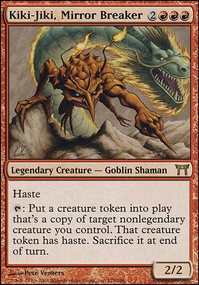 Mass Hysteria with haste and Blind Obedience making opponents creatures ETB tapped are low CMC cards that can increase your aggression. Obedience's extort is also reach. For the manabase Pain lands and Rainbow lands are better than Filter lands and Scry lands because of one drops. 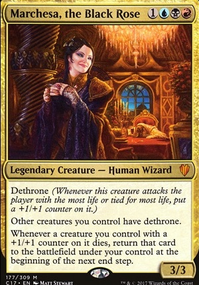 Command Tower , Mana Confluence , Caves of Koilos , Battlefield Forge , Sulfurous Springs are helpful with one drops. The Scry lands ETB tapped which is not what you want with aggro. There's not enough basic lands to support Smoldering Marsh; it's consistently going to ETB tapped. It looks like you can afford just about any land so no reason to play any lands that ETB tapped. There's only 34 black cards here compared to 65 nonblack cards this makes Vampire Nocturnus unreliable and your four drop needs to do a lot and be reliable. Top and Rack do help with Nocturnus, but this is too slow especially when you already have Bloodline Keeper who you don't have to jump through hoops to use. Exquisite Blood , Merciless Eviction and Kindred Dominance are good cards, but not with aggro. Mavren Fein, Dusk Apostle , Heirloom Blade and Mortify are also good cards, but lackluster here compared to the all the other cards. I have more advice, but I'll stop now. Good luck with your deck. Painlands should be on their radar first for lowering their life without using a card slot. City of Brass , Mana Confluence , Sulfurous Springs , Underground River , and Shivan Reef . Steamkin seems like it could be replaced with something more aggressive, or with Street Wraith to help pump shadow. 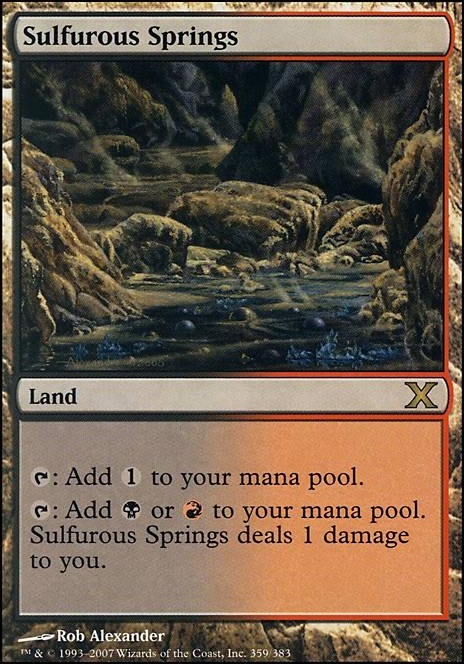 Also you could run Sulfurous Springs over some of the basics, hits your life total and gives you more duals.